On a January a few years ago.. We spent 4 days in Sri Lanka. It is a very interesting country, and although we saw so many sights in 4 days, I believe it deserves more time. We were always on the road, and moving to a different hotel each night. It may sound like a normal road trip, but the drives were too long. Our hotels were really nice, but we didn't have enough time to just enjoy them. 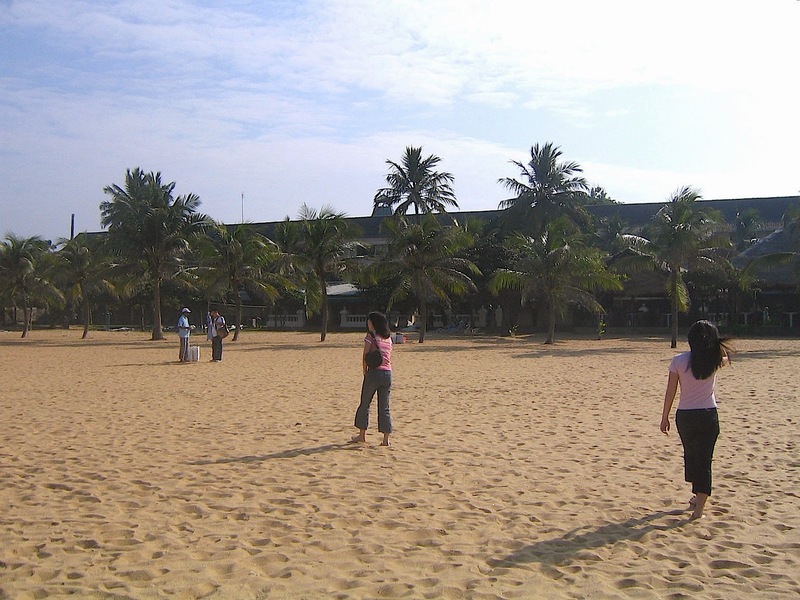 For now, let me share our first day..
Browns Beach Hotel in Negombo.. 35 minutes away from Colombo.. Unfortunately, we had no time to swim due to our tight schedule..
A standing Buddha along the way..
Well.. they actually had so many Buddha statues everywhere..
Negombo to Polonnaruwa.. Almost 4 hours.. This is a Tuk Tuk.. one of their modes of transportation.. Finally here at the ruins of this ancient city..
One of the 8 UNESCO World Heritage Sites in Sri Lanka..
My sister planned this whole trip, and I just tagged along.. 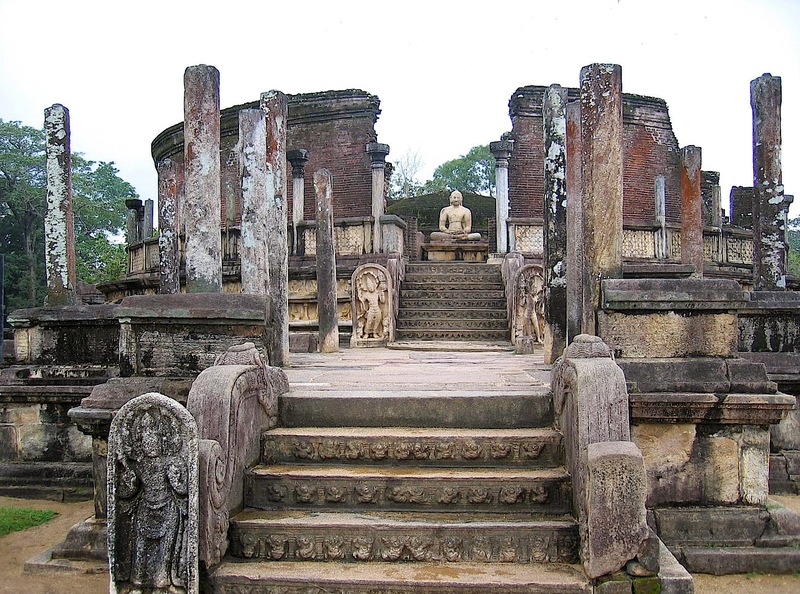 The second most ancient kingdom of Sri Lanka.. When the Chola invaders from South India were defeated by King Vijayabahu I in the 11th century, he moved the capital city of the country to this place.. and then King Parakramabahu I made it flourish..
Council Chamber.. where the throne of the King used to be..
Vatadage.. built to protect a small stupa in the middle.. believed to hold the alms bowl used by, or the tooth relic of the Buddha..
Atadage.. house of the tooth relic of the Buddha.. built on 54 stone pillars..
Ok.. Actually, I did not listen to our tour guide.. and never really remembered all these..
Pillars with inscriptions.. and a standing Buddha statue..
Nissanka Latha Mandapaya.. where King Nissanka Malla listened to chantings of Buddhist scriptures..
Hatadage.. a shrine, also to house the tooth relic of the Buddha.. I promise.. only a few more foreign languages and kings and Buddhas left!! Royal Palace of King Parakumba.. destroyed and burned by South Indian invaders in the 13th century.. 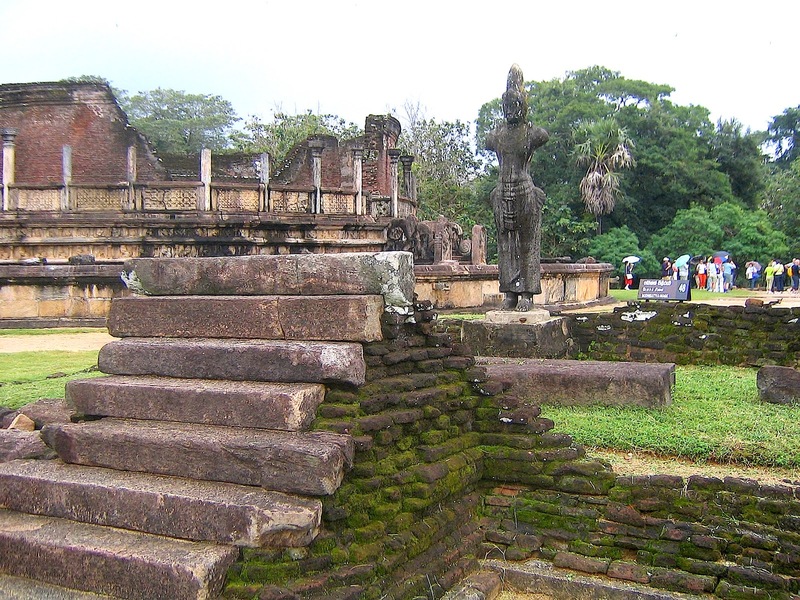 The building used to be 7 stories high.. but only remains of the 3 stories are left..
Rankoth Vehera.. the gold pinnacled stupa built by King Nissanka Malla in the 12th century..
Lankathilaka Vihara.. an image house with massive pillars.. and a statue of a Buddha that is now headless..
And statues again.. and again.. and again.. I should admit it now.. I am not really into this kind of ruins and history.. But I don't omit these places when I travel because who knows? Something might amaze me..
Kumara Pokuna.. the royal bathing pond where the ladies bathed in the evening..
Wow, nice pictures of Sri Lanka. It is really happy to see and feel your good impressions about our country. I think you have enjoyed much in Sri Lanka. 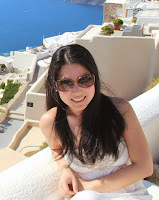 Great post and you are welcome to my G+ community. :) Come again to visit Sri Lanka.